Community forestry is an attractive endeavor in the quest to reduce poverty. Multiple countries with tropical forests have placed it at the heart of their rural development strategies, giving local communities the rights to directly manage forests and decide how land will be used. Underpinning community forestry is the proven belief that local people are best placed to manage the resources on which they rely. Done sustainably, poverty can be alleviated, social mobility enhanced, and the ecological protection of the forest achieved. A new study shows that the benefits don’t always materialize. Community elites are most likely to reap the rewards from such models, risking disillusionment among rural communities. 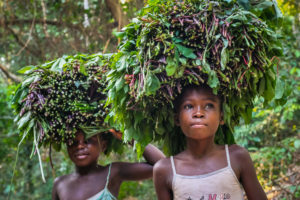 Such is the case of multiple community forest initiatives across Central Africa, found researchers from the Center for International Forestry Research (CIFOR) and the University of Kisangani (UNIKIS). 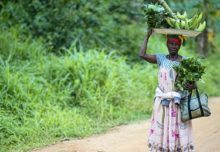 Scientists found that two community forest pilot sites in northeast Democratic Republic of the Congo (DRC), failed to produce an increase in people’s real income. “Our research shows that the business case for community forests in DRC remains weak,” said Guillaume Lescuyer, lead author of the study. “In both of our pilot sites, we saw a negative financial turnover over five years. All the productive activities that we analyzed – including logging, hunting and firewood collection – either result in losses or a very low profit.” The researchers therefore advise that community forestry is unlikely to develop into a profitable model in the DRC, unless people are convinced that it will increase their financial and physical capital. The findings from the DRC come at a crucial moment when the Congolese authorities are backing community forestry, implementing several legal and administrative entities. “In 2002 the national forestry law adopted the concept of ‘local community forest’, but it lacked detail until 2016,” explained Ignace Muganguzi, co-author of the study. Despite the recent rise of community forestry in the DRC, one of the barriers that persists is the exorbitant costs required to set up a community forest. In the selected case studies, USD 100,000 to USD 160,000 is needed to comply with regulations. These fees cover necessary coordination meetings and committees, the creation of boundary lines and maps, baseline studies, and other formal procedures. “The start-up cost is just too high to make this model viable,” stated Lescuyer. Beyond these expenses, lies high costs of formalizing local economic activities to comply with regulatory requirements. “The payment of all the approvals, taxes and permits that are required to carry out activities such as hunting, chain-sawing, or gathering non-timber forest products, in a legal manner, often prevents small producers from making a profit,” added Lescuyer. To address these issues, the researchers make two recommendations. First, new community forest projects should focus on the productive uses of forest resources, creating a business case with financial forecasts. “Short and medium-term livelihood outcomes need to be quantitatively measured, and to continue supporting these projects there should be strong evidence of a significant economic impact,” said Lescuyer. The study shows that to date, no community forest in the DRC has conducted such analyses. Second, legal constraints should be simplified to reduce the cost of creating and managing community forests. Furthermore, local institutional processes should be streamlined to facilitate operations. “If national regulations continue the same, people might even favor illegal practices to cover these costs,” warned Muganguzi. 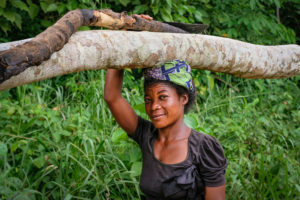 This new research underlines finance as a major obstacle to the success of community forestry in the DRC: the lack of ownership by local populations. 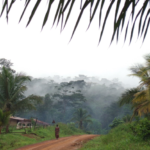 What’s more, previous research unearthed multiple cases where community forests in Cameroon were exploited through subcontracts with logging companies. Mostly medium-sized and informal, they paid cut-rate rents that did not trickle down to improve collective standards of living; the reality of job creation reflected by very low salaries. Other studies have concluded that revenues from logging are seldom equally distributed- local political, economic and military elites reaping the lion share of profits. 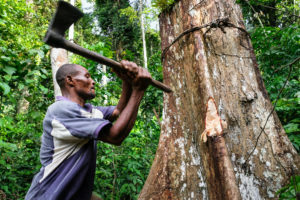 “The failure of community forestry in Cameroon is worrying because the model has been replicated for about 15 years across Central African countries, especially in Gabon, the DRC, and Central African Republic,” said Lescuyer. 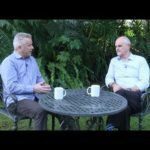 Lescuyer agrees, believing that the purpose of increasing income should be at the core of community forestry, especially in rural areas where development options are limited. “It is time to ensure that the tens of millions of dollars devoted to supporting this model actually ends to alleviate poverty,” he concluded. This research was supported by the REFORCO and FORETS projects and funded by the European Union. 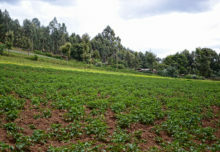 This work is also part of the CGIAR Research Program on Forests, Trees and Agroforestry (FTA), the world’s largest research for development program to enhance the role of forests, trees and agroforestry in sustainable development and food security and to address climate change. CIFOR leads FTA in partnership with Bioversity International, CATIE, CIRAD, ICRAF, INBAR and TBI. FTA’s work is supported by the CGIAR Trust Fund.